Caramel Apple Crunch Cheesecake is rated 5.0 out of 5 by 2. Rated 5 out of 5 by Evan M from Delicious I bought this product as a birthday present on quick notice. It arrived on time and was delicious from what I heard. I am glad to have bought this product as it was a total surprise. This heavenly dessert is irresistible. Baked right into our famous cheesecake are fresh, tart apples. To top it off, we've sprinkled on toffee almond streusel and drizzled warm, rich caramel over the entire cake. 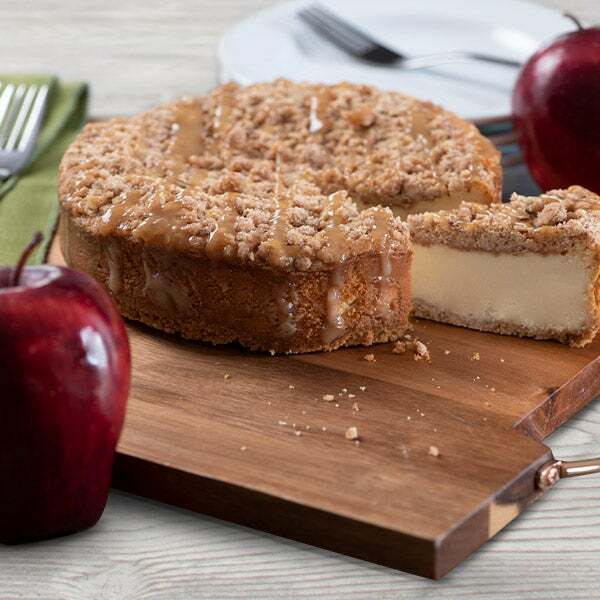 Discover just how good apples can taste with our creamy Caramel Apple Crunch Cheesecake.